A later statement from O2 said service was expected to be restored by 3am. On Thursday evening, O2 said 3G data service was returning and that they anticipated it to be fully restored by 9.30pm. In a statement shortly after midnight on Friday, the company said: “Our technical teams have started to return our 4G service to our network. 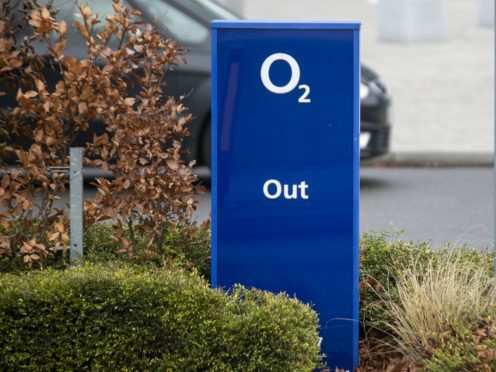 O2, which has more than 25 million UK customers, saw disruption to its network begin at around 5am on Thursday and last for most of the day. The CEO of Ericsson UK and Ireland, Marielle Lindgren, said: “The cause of (the) network issue is in certain nodes in the core network resulting in network disturbances for a limited number of customers across the world, including in the UK. “We have been working hard on resolving the UK data issue. The faulty software that has caused these issues is being decommissioned.